The first asparagus spears were on the stalls at Castres market on Saturday at 9 euros /kilo– steep I thought–wait a week or two and down they’ll come. 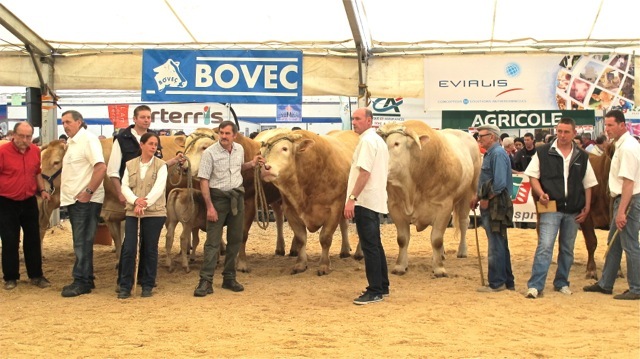 Then last night Meredith and our friends Tamsin and Stephen–here for a weekend visit–returned from the annual Réalmont Agicultural Foire (fair). and a couple of bunches of Spanish grown asparagus! OK–a starter for our hazelnut pasta supper last night! I roasted all but ten spears–thinking lunch today– with thyme and olive oil. It was good to have it confirmed that the asparagus season is about to start but the spears from over the border were not as tasty as the locals will be in a couple of weeks. 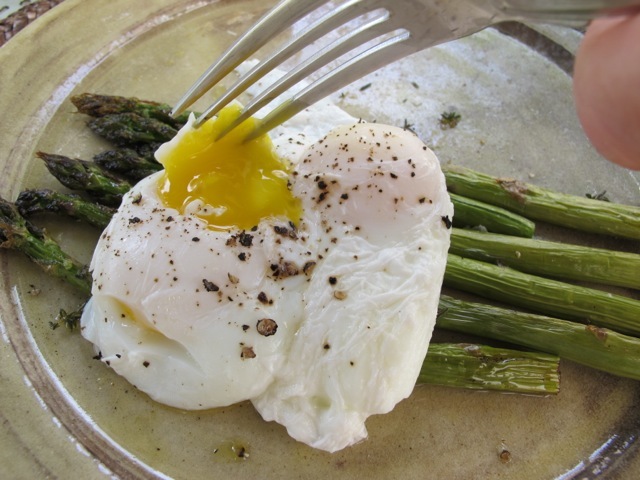 I’m poaching a couple of eggs each and laying them on top of the remaining asparagus for the yolks to break beautifully and Spring-like–yellow on fresh green–over them and make a superb light lunch with a salad. Arrange the spears in a single layer on a shallow oven tray. Pour a little olive oil over the tips and sprinkle some salt and fresh thyme . Slide the tray onto the top oven rack and roast for 10 minutes–test for doneness. Arrange equal portions on two plates. 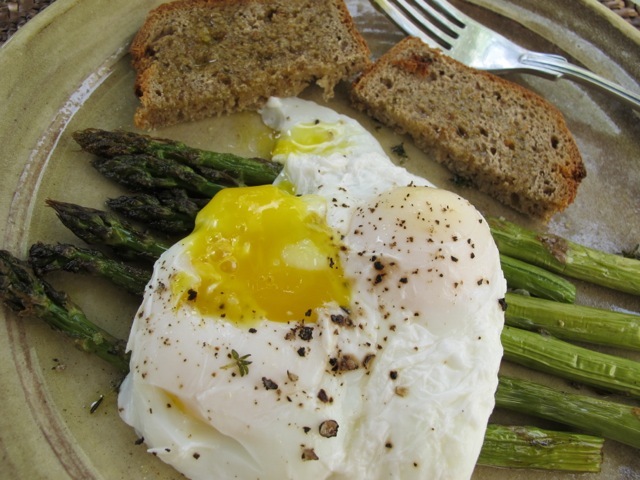 Bring a saucepan of water to the boil and add a tablespoon of red/white vinegar–this helps gather the egg white. Break the eggs into the water trying not to burst their yokes. 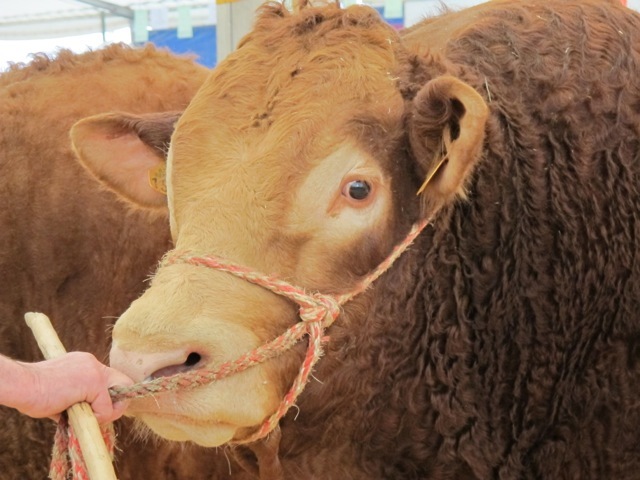 They’ll be ready to take out in about three minutes–depending on the thickness of the spears.. 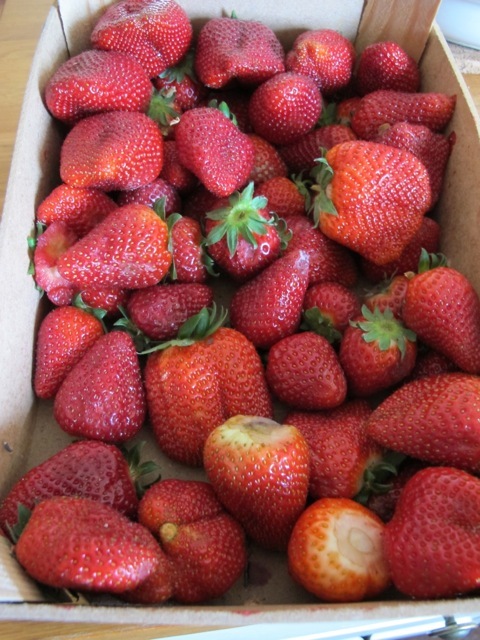 Carefully remove them from the water with a slotted spoon and drain them. 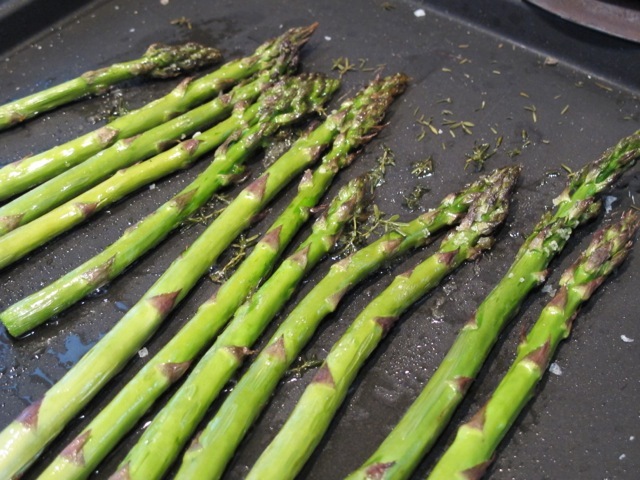 Place them decoratively on the asparagus and season with a little salt and pepper. Makes a delicious breakfast, lovely. 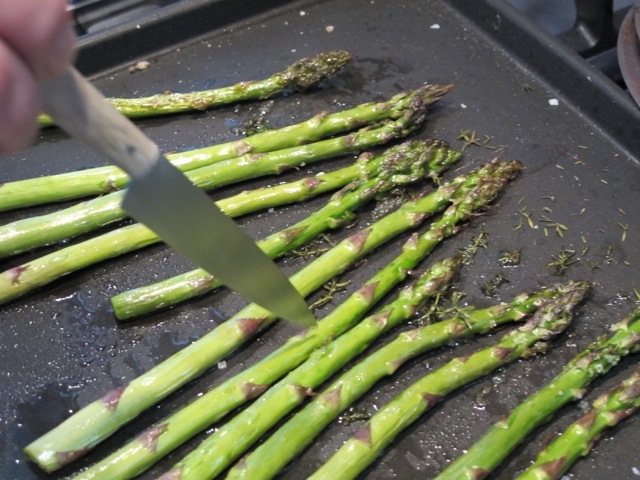 on April 7, 2014 at 10:34 pm | Reply Dianne P.
Welcome, Jane!–the asparagus season is upon us here in France. I almost never tire of it! Are your friends Tamsin and Stephen the same pair who are the stars of “Episodes”? No, Kenn–not to my knowledge.